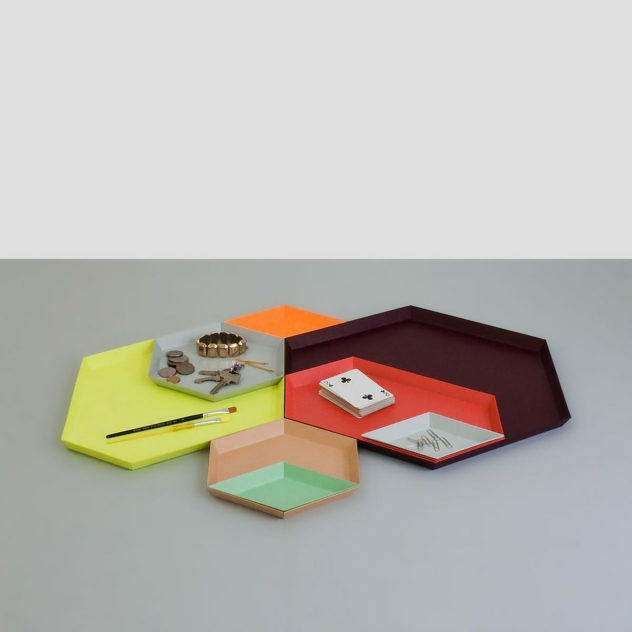 Single or as a group the Kaleido organizing trays by Clara von Zweigbergk feature a playful and geometric design. They look cool from any side! Suspended Ice Bucket by Rodolfo Dordoni. This stylish Ice Bucket designed by Rodolfo Dordoni for MoMA has a cleverly conceived shape that makes ice cubes appear suspended within the vessel. 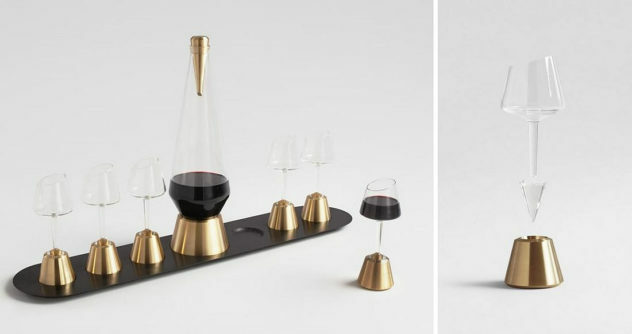 “Bishop of Norwich” is dramatic wine serving set by British designer Kacper Hamilton that encourages users to constantly share the drink around. The Kemushi Decanter by Japanese designer Takahide Sano is a delicate work of art for your table inspired by the theory of communicating vessels. 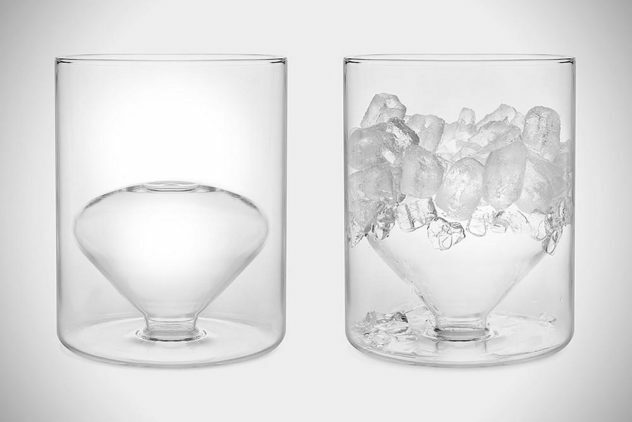 Matterhorn Whiskey Glasses by Tale Design. The Matterhorn Whiskey Glasses are inspired by the famous mountain peak in the Pennine Alps on the border between Switzerland and Italy. Yozakura is a beautiful Sake Set by artist Kennedy James, it commemorates Japanese Tradition and its poetic form is inspired by cherry blossoms. 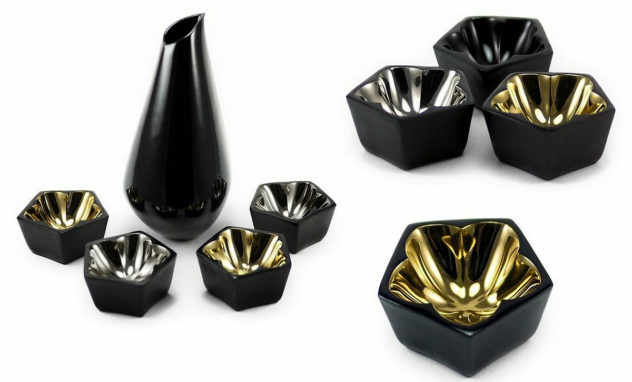 Ceramic Salt and Pepper Mill by Karim Rashid for Slice. 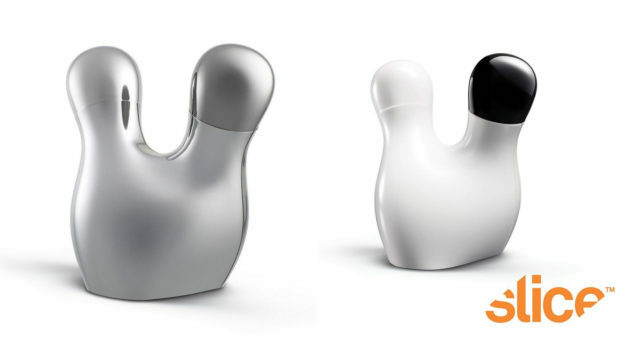 This stunning double ceramic salt and pepper mill designed by Karim Rashid for Slice, features futuristic design and high-tech ceramic blades. 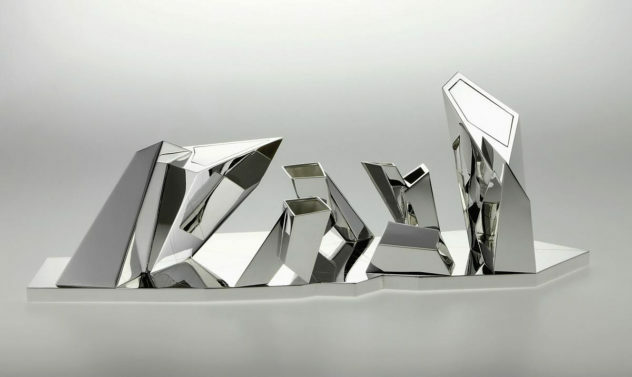 The tea & coffee set by Daniel Libeskind for Sawaya & Moroni features the distinctive dynamic lines that the famous architect is known for in scale.